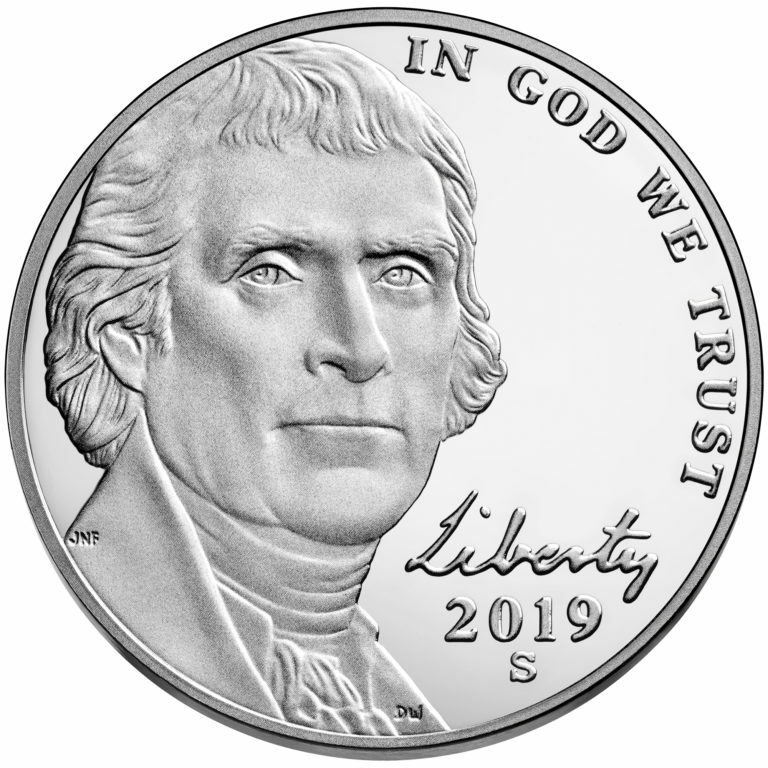 Today, we refer to the five-cent coin as a nickel, but that was not always the case—the first five-cent coin was made of silver. 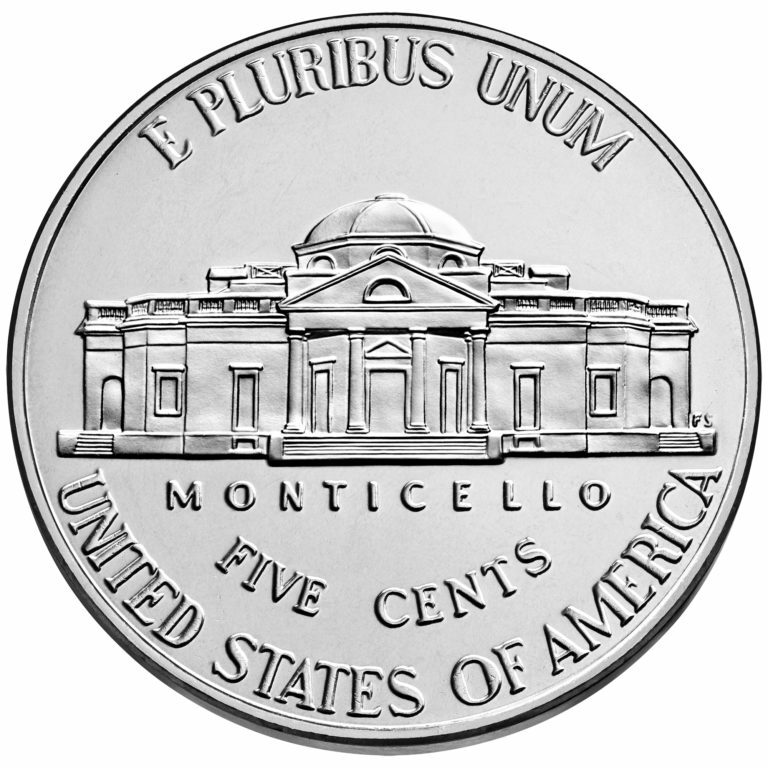 This silver five-cent coin was called a “half disme” (pronounced “dime”) and was much smaller than today’s nickel. 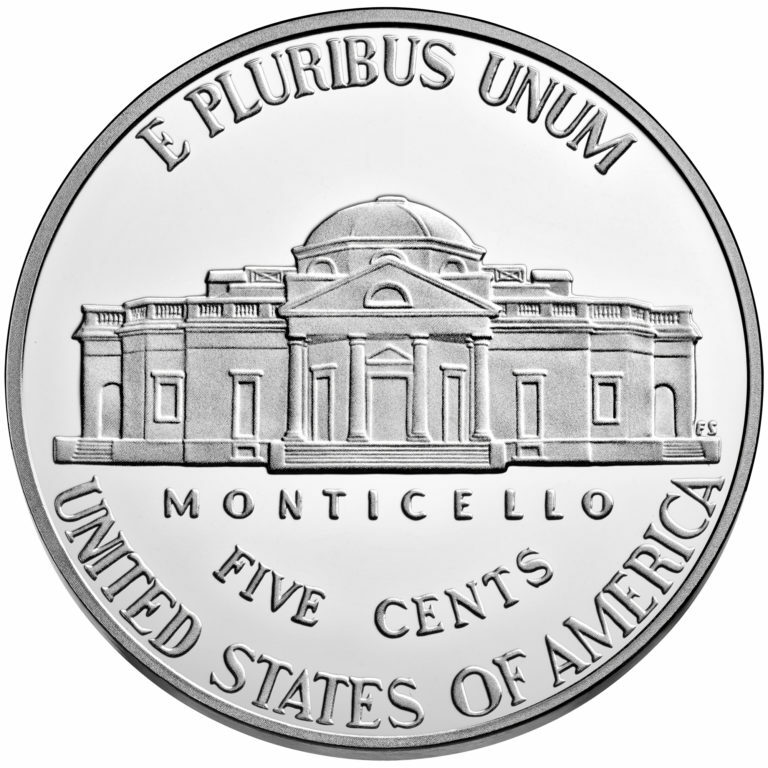 Congress required the United States Mint to produce a new five-cent coin made of nickel and copper in 1866, but the smaller silver half disme was still made until 1873. 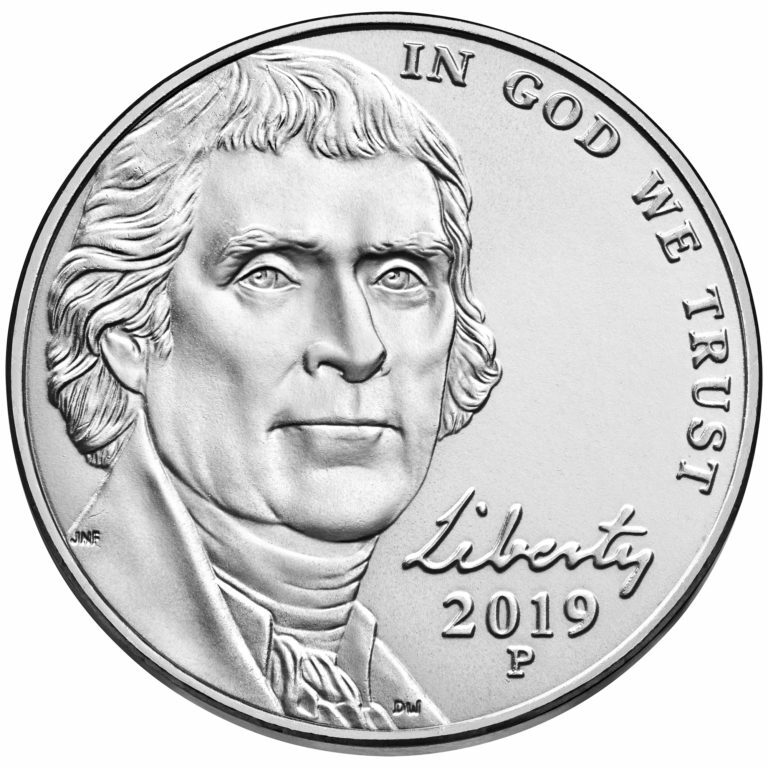 Obverse (heads): Has featured, since 2006, the Thomas Jefferson likeness based on a Rembrandt Peale portrait completed in 1800. 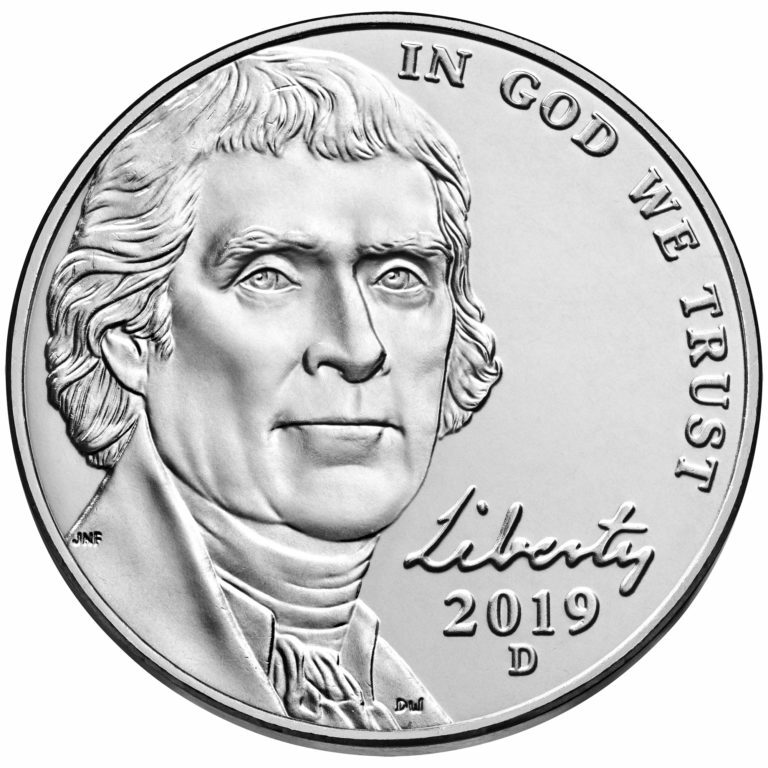 Peale’s portrait was the basis for most of the images of Jefferson made during his lifetime.